Ann's sixtieth year came face to face with her daughters' dramatic mid-life changes. She did what any strong, determined 61 year-old-mother would do. She took charge. Ready for a new adventure she happily retired, took her savings and the sale of her home, and went into partnership with her daughters. Their initial business venture, a malt shop failed, but proved to be the "shoe horn" that landed them in a quiet neighborhood in Coeur d'Alene, Idaho. Six months later, straddled with a business that could not support itself the malt shop folded up its tent and was quickly replaced with a modest tavern called the Rathskeller Inn. Ann's dream to own a beer garden became a reality. What began as a modest 1500 square foot bar expanded to 3500 square feet within 3 years, selling in that time over a million gallons of beer. 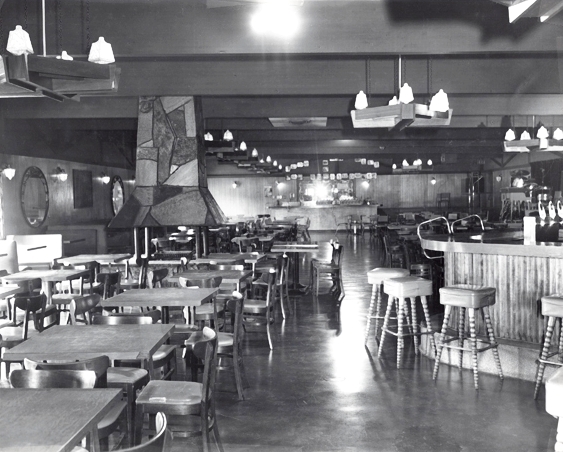 By 1967 the Rathskeller was over 6000 square feet, hosting on average 800 people a night on weekends. Big bands of the era graced the stage: Paul Revere and the Raiders, Merilee Rush and the Turnabouts, The Cascades, Dave Clark V, the Letterman, and an all-girl band, The Svelts (to name a few) all drawing record crowds to this quiet little town of 14,000. Wrapped around the dramatic changing era of the 60's, the women of the Rathskeller were able to hold their own in a man's world, building a successful business that out lasted their critics and thrived for over twenty years. Rat's, as it was known, would become a Point of Destination for anyone visiting or living in the northwestern corner of the United States. Fifty years later, it is still remembered by residents and visitors who were able to experience it as memorable, for some, even life changing. 1323 Sherman, invites you into the 60's and the first ten years of The Rathskeller's magic, where joy, failure, success ... tragedy, excitement and drama ... wove lives together. It was a fertile time and place for young adults coming of age and left in its wake memories that lasted a lifetime.